I usually only use two of the darkest shades in my Urban Decay Naked Basics Palette when it comes to filling out my eyebrows. Even if I do have blonde hair (okay, so yes, it's dyed but it's always been dirty blonde! ), my eyebrows have always been dark and seem to be getting considerably darker if that's even possible. Back when I bought my first tube of Anastasia's Tinted Brow Gel, I also picked up one of their eyebrow powder duos because I preferred (and still do) powder to pencils. For a while, I thought this shade didn't suit me and let it sit in the back of my drawer so I could continue to use my Naked Basics Palette. As it turns out, the color might not have been as terrible for me as I thought. 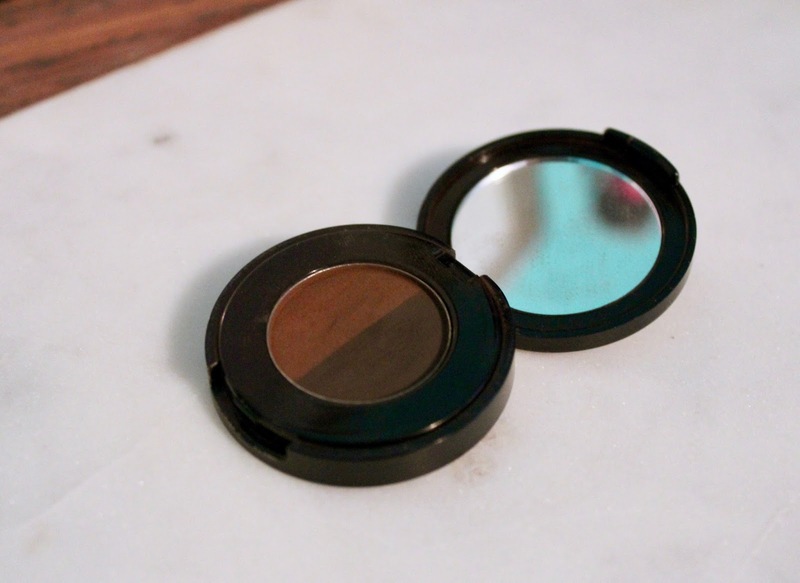 The lighter shade in the duo is, unfortunately, but the darker brown is actually a really nice natural brow color that has been really great for days where I want to fill in my brows but don't want them to look as intense as usual. 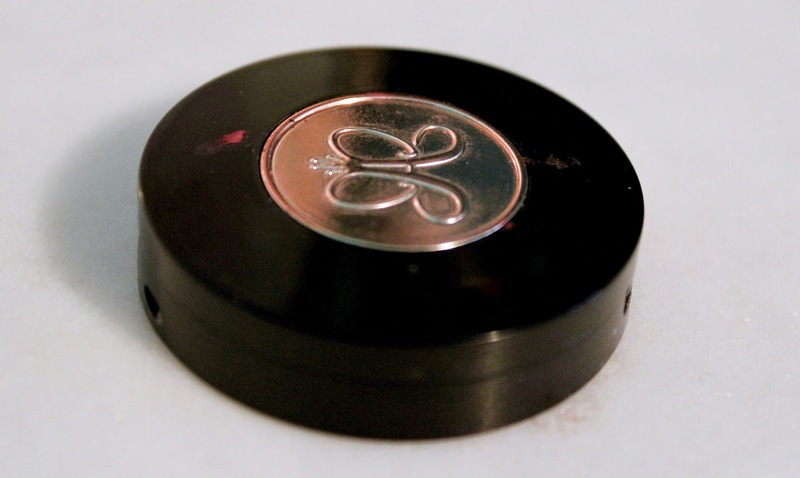 It's pigmented without being too pigmented like a regular eyeshadow. It's easier to build up the color naturally without any super harsh lines that can make your filled in eyebrows look unnatural. That frequency that I see new movies falls around never. I'm not a huge fan of movies in general, but going to the theater and not being able to watch a film in the comfort of my own bed where I can pause it and get up as many times as I want is a rarity in my life. There are seldom movies that come out where I actually follow through with my declaration that they look really good and that I'd like to go see them in the theater. However, given my love for coming of age movies and Saoirse Ronan, Lady Bird seemed like a likely possibility for me to actually see. You know, if they were playing it at any of the close theaters to my house (which they weren't). Alas, I had the chance to see it on Sunday with my mom and like, if you want to cry extra hard I'd recommend going with your mom. If you want to cry a medium amount, just go alone. But for real, there's a reason this movie has an insanely good rating on Rotten Tomatoes and is receiving praise left and right. It's the perfect blend of comedy and drama and also the funny realities of going to private school. That's not that important, I just nearly spit out my popcorn when they were eating unconsecrated hosts like they were crackers. Too good I tell you, too good. If you're the type of person who likes to see nominated movies before the award shows, I'd look up showtimes for this immediately. I'm not a movie buff so I don't really know how to speak technically about all of this stuff, but it was really aesthetically pleasing to watch and delved a lot deeper in certain aspects than I would have expected, and was, undoubtedly, one of the best movies on 2017. Not that I would know firsthand because I've watched Freaky Friday four times in the past month but...I'm just going to need you to trust me on this one. And Rotten Tomatoes. And the general population who has been saying really lovely things about this movie. I need someone to constantly tell me when new Charlie Puth songs are on the radio. Sometimes I hate that I love his music as much as I do, but then I realize that it doesn't really matter because a bop is a bop (with exceptions, of course, like people whose names rhyme with Priss Prown). I'm always here for a solid pop tune that makes me groove on the first listen when it comes on the radio. And as for "Miss You," I do believe I've described this song as my middle school years minus all of the crappy parts. It has my favorite pop punk vibe and every time I listen to it, I pretend like I'm at a concert yelling the chorus back. It's a yes from me. This is what Christmas looks like when you raid the dollar section at Target. I'm not festive by any means, but this was my best attempt at getting into the holiday spirit. 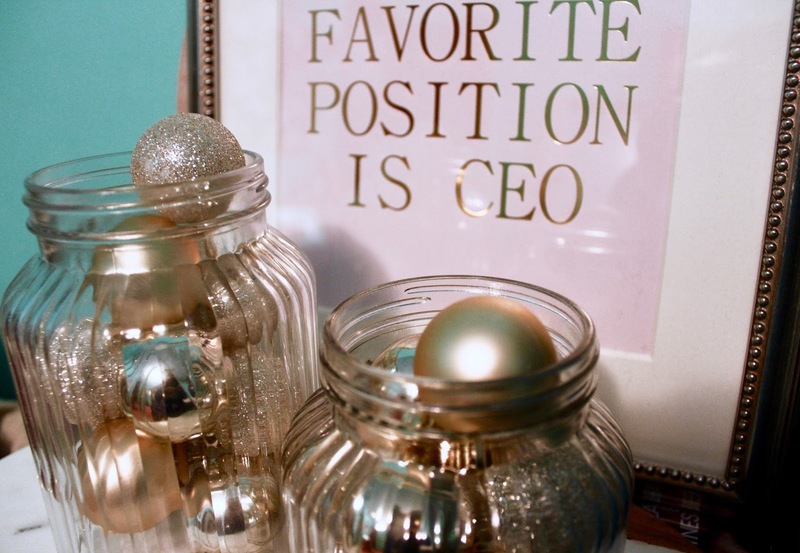 All you need are clear glass jars, some mini ornaments of your choice, and you are all set to go. Do I feel holly jolly every time I look at them? Not quite, but at least they're pretty and glittery!